No book in the history of the world has wielded as much influence on humankind as the Holy Bible. 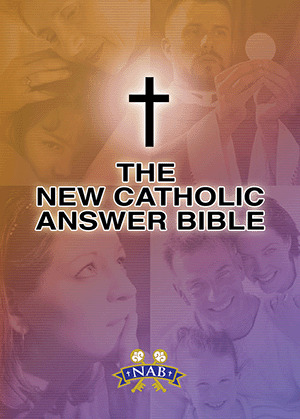 What makes The New Catholic Answer Bible so unique is the scripturally based answers to questions about Catholic beliefs and practices. From Where Did the Bible Come From? and Are the Seven Sacraments in the Bible? to Are Catholics "Born Again"?and Why Do Catholic Bibles Have Seventy-three Books?, eighty-eight diverse topics answer tough questions Catholics are asked through full-color inserts. Increase their knowledge of Scripture and deepen their appreciation for it. Better respond when others ask them about the Catholic Church and its teachings. Size: 6 3/4" x 9 1/8"